Hi there, eP fans! 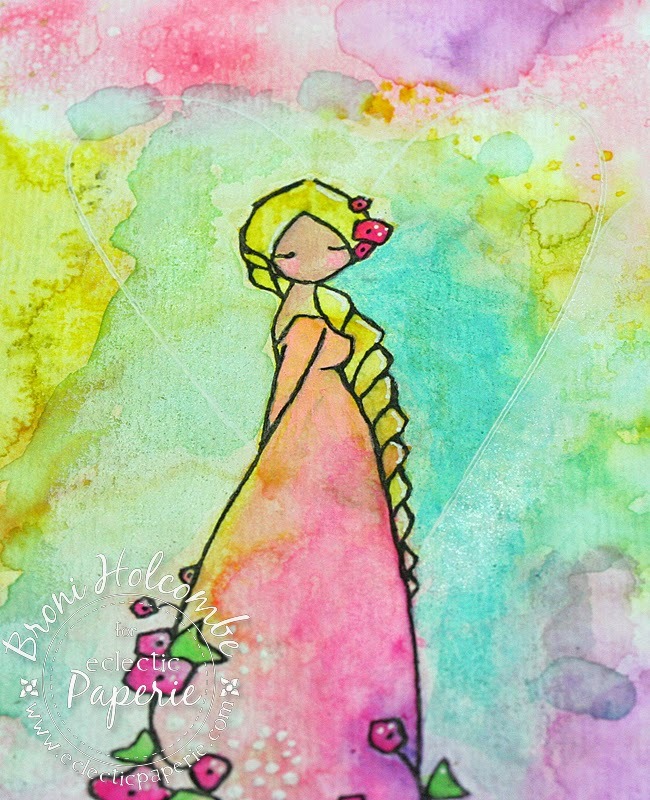 It's Broni here with you today, and I thought I'd show you how I created my water colored Flower Maiden. 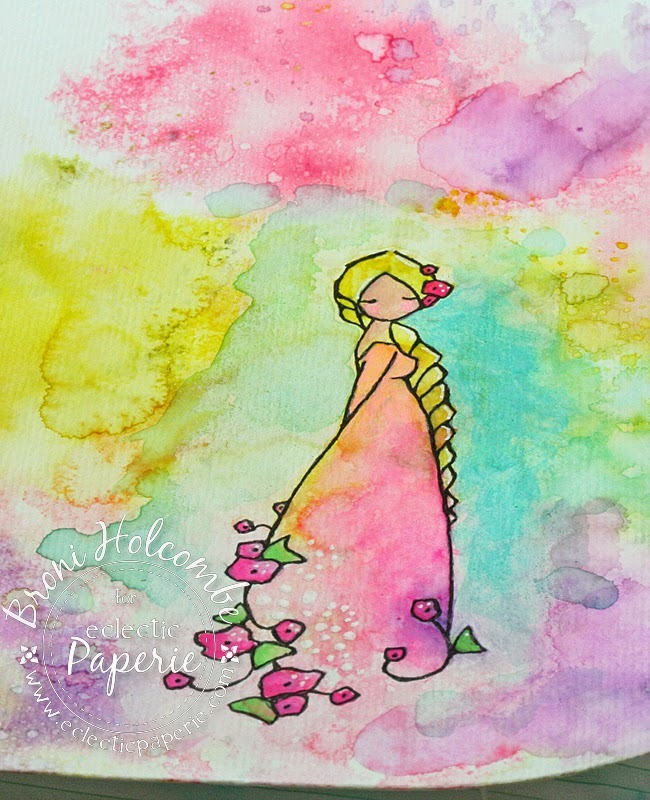 The Flower Maiden is a digital image (from A Day For Daisies) and I printed her onto a 6 x 8 piece of watercolor paper that had already been colored using Distress inks. It had been in my stash for weeks, and I'd stared at it long enough trying to decide what to do with it! I loved the soft colors and thought it would work with her! After I printed her, I added some Titanium White paint mixed with some clear gesso around her to soften the background and make her pop a little more. Next I painted her and added some soft blue to the background. 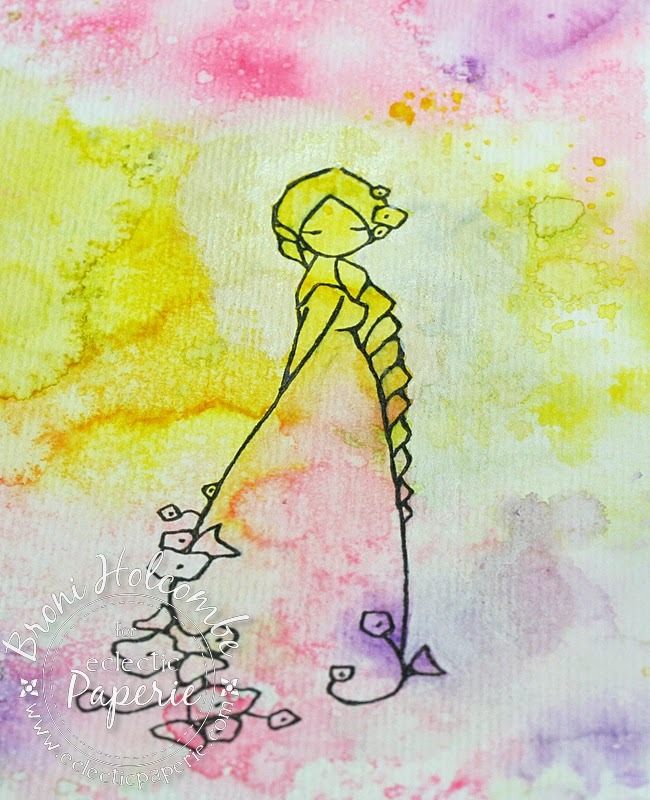 I also added some highlights using my white gelly roll pen. 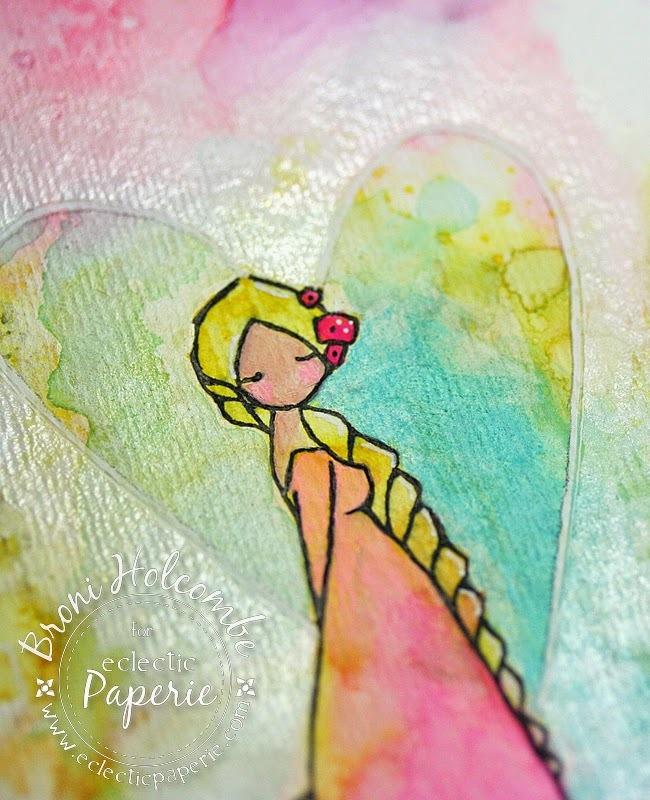 I used the same white gelly roll pen and my Studio 490 Hearts stencil to surround her with the large heart. Then I mixed some of the Titanium White paint with some Glazing Acrylic Fluid Medium and began to paint from the heart outline out towards the background, allowing the paint to fade out as I pulled. This made the "halo" of the heart shimmery! 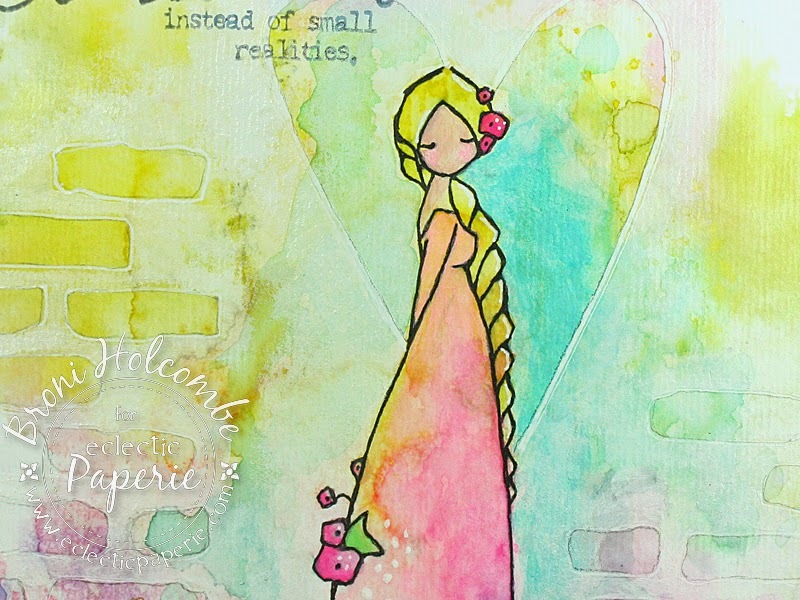 Next I used the same technique and drew bricks around her using the white gelly roll pen and the Studio 490 Brick Wall stencil. I also added a very faint pencil line inside the heart and the bricks to make them stand out from the background more. 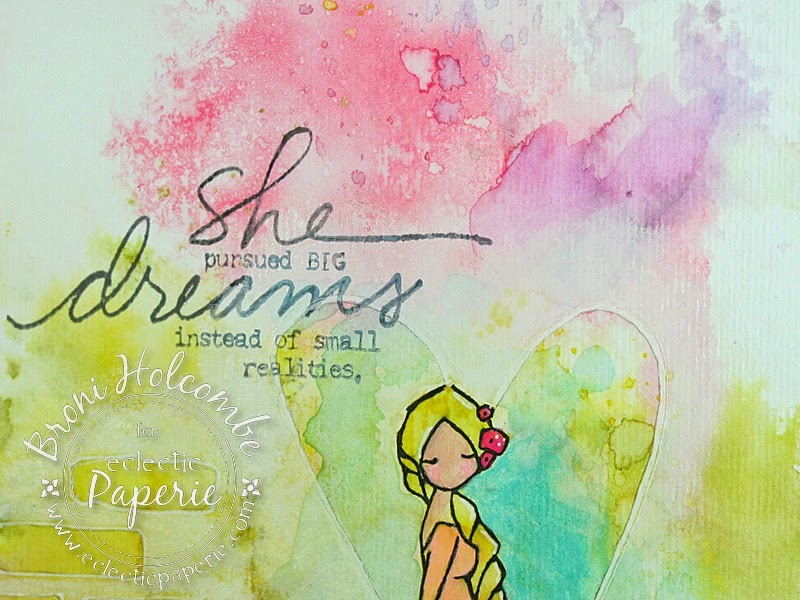 I added the great sentiment from a donna downey stamp set using Memento Gray Flannel ink. And here are a couple of close ups. And the full painting again. I haven't decided if I'll attach this to a canvas or not yet. Probably though. I love it and I think I want it hanging over my desk! You know there's still time to join in this month's ePlay challenge: Fall! Come play with us! Just BEAUTIFUL, Broni, and THX for the steps! The colors are so PRETTY, just like your maiden! Broni, your talent amazes me! This is stunning!!!! This is so beautiful Broni!! 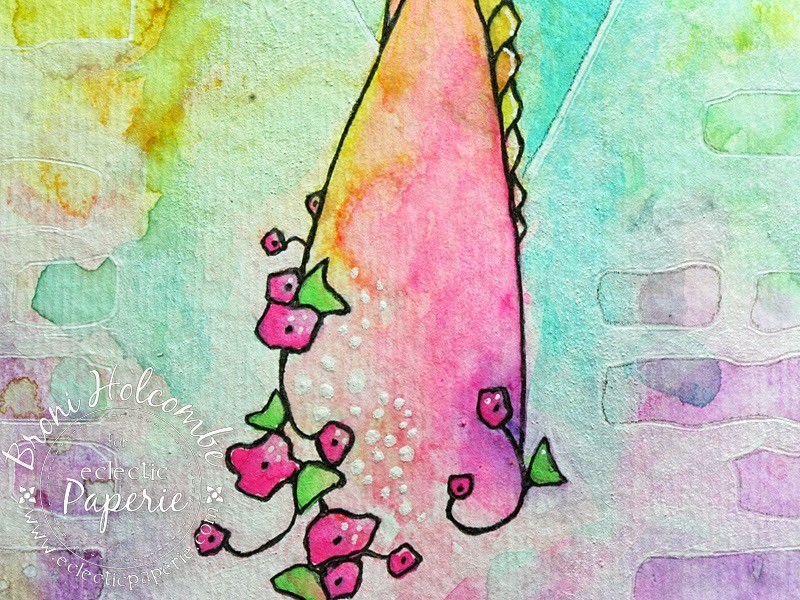 I have so many water color backgrounds made and I love them but was stuck about how to proceed with them !! thanks for the lovely ideas ! !love the heart halo !! Broni, this is soooo beautiful! 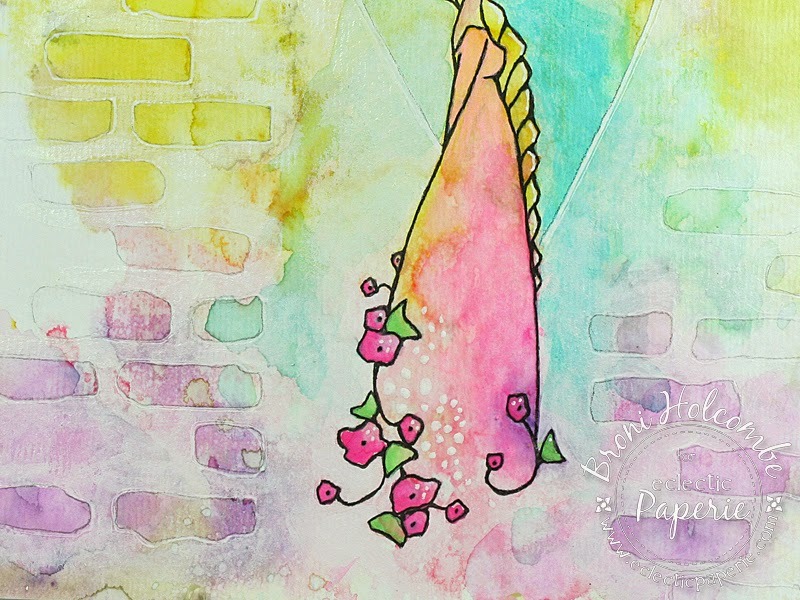 That watercolor background has to be what the inside of a rainbow feels like. Love this. The colors are lovely as is your maiden. How lovely Broni! 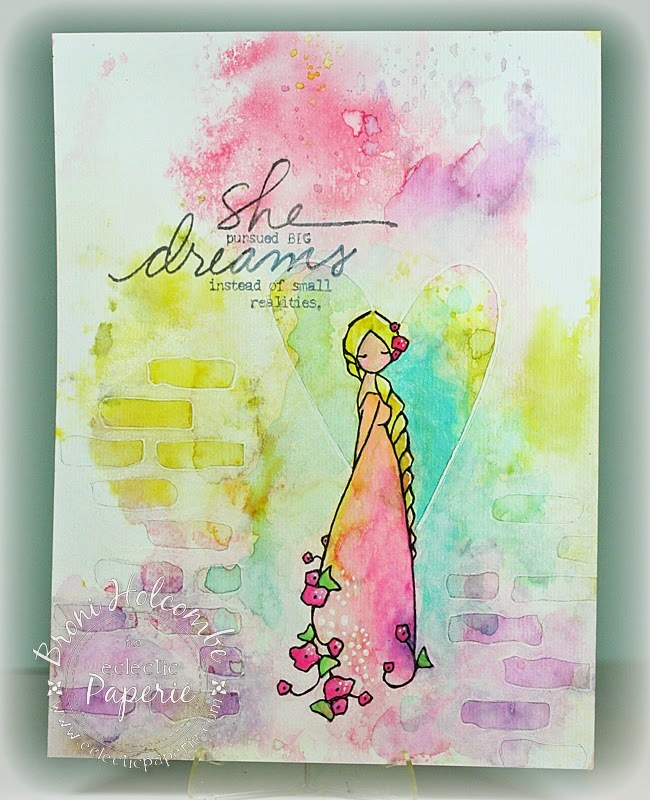 what a wonderful image - love the embossed brick background and beautiful colors! Oh so soft and lovely. Simply gorgeous Broni!! I adore all the colors.